The sequence of strong earthquakes in Canterbury in 2010 to 2011, most notably the devastating Mw 6.2 earthquake on 22 February 2011, the source of which was located within Christchurch, resulted in 185 fatalities and extensive damage to buildings and infrastructure. Liquefaction occurred on several occasions through the city and nearby areas. The damaging effects of this liquefaction included lateral spreading, settlement, foundation failures, subsidence of areas close to waterways, and large volumes of sediment ejecta on the ground surface. This guidance document (Module 6) is part of a series of Earthquake Geotechnical Engineering Practice guidelines and should be read in conjunction with the rest of the series. 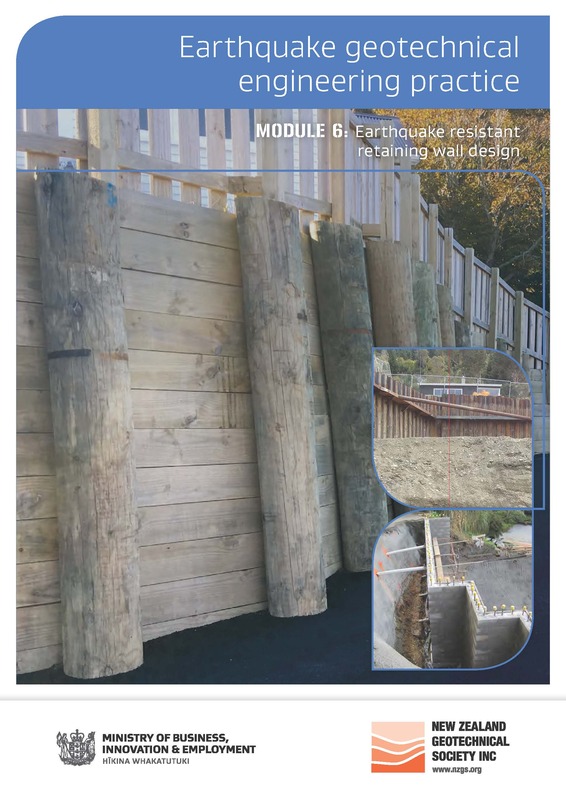 Guidance on estimating ground motion parameters is given in Module 1, ground investigation in Module 2, liquefaction assessment in Module 3, foundation design at sites with liquefaction in Module 4, whilst more detailed information on the mitigation of liquefaction hazards by ground improvement is covered in Modules 5 and 5a.